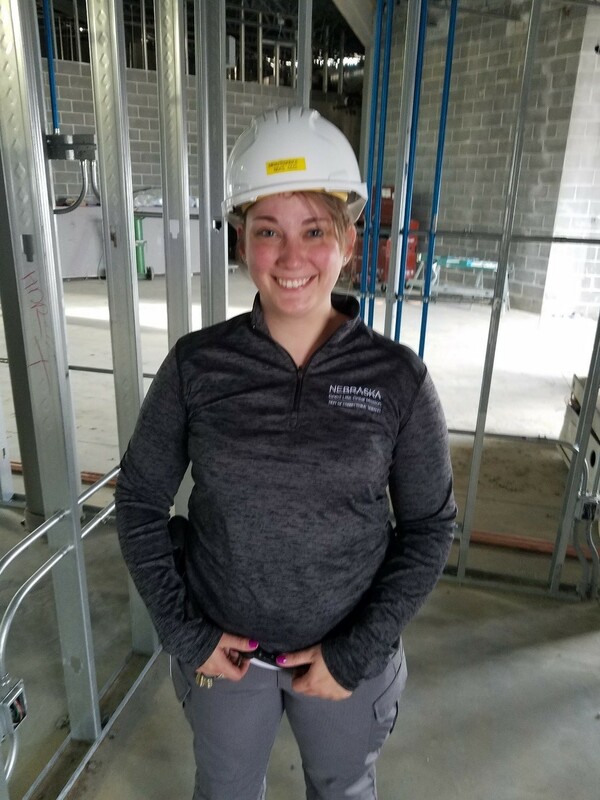 Kimberlie Novotny stands in the hard hat area that will soon become her office at the Community Corrections Center-Lincoln (CCC-L). Very soon, she will start her new position as unit manager of the brand new women’s housing unit. Kimberlie brings a wealth of experience to the job. She started at Nebraska Department of Correctional Services (NDCS) in 2013 as a unit case worker and quickly became a Unit Case Manager. She was promoted to Operations Coordinator at the Central Office in 2017. Her NDCS experience includes: SERVES team member, victim offender dialogue facilitator, crisis negotiation team member, CPOF member, CISM facilitator, FTO, and classification audit member. Congratulations Kimberlie!